Royal Three Card© is the Hottest new Poker game to come out in a long time. 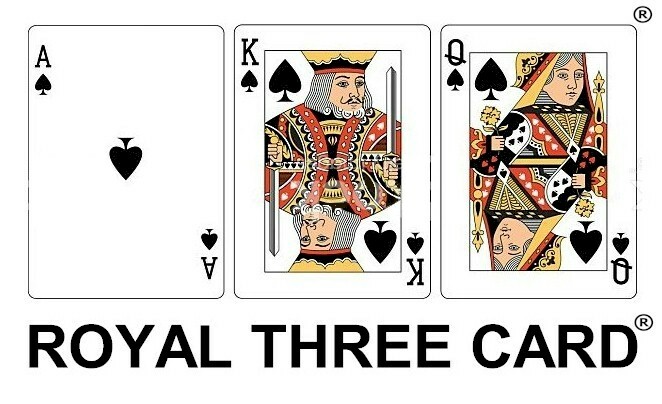 If you like Traditional Three Card Poker© than you are going to love Royal Three Card©. It's faster, it's hotter and the payouts are quicker. There are Three separate bets that a player can make. The Player vs. Dealer Bet, the 3 Card Bonus Bet and the 5 Card Bonus Bet. All bets must be made prior to the cards being dealt. The Player vs. Dealer bet is the minimum bet to play the game. The other two bets are optional bets. If your casino doesn't have Royal Three Card© yet, tell them that you want to play Royal Three Card©. © Royal Three Card 2017. Picture Window theme. Theme images by 1_trick_pony. Powered by Blogger.